There’s nothing like the exhilaration of skiing down some of the best runs in the world. Skiing and snowboarding season is upon us, and we are ecstatic to help you get prepared for the best season of your life! 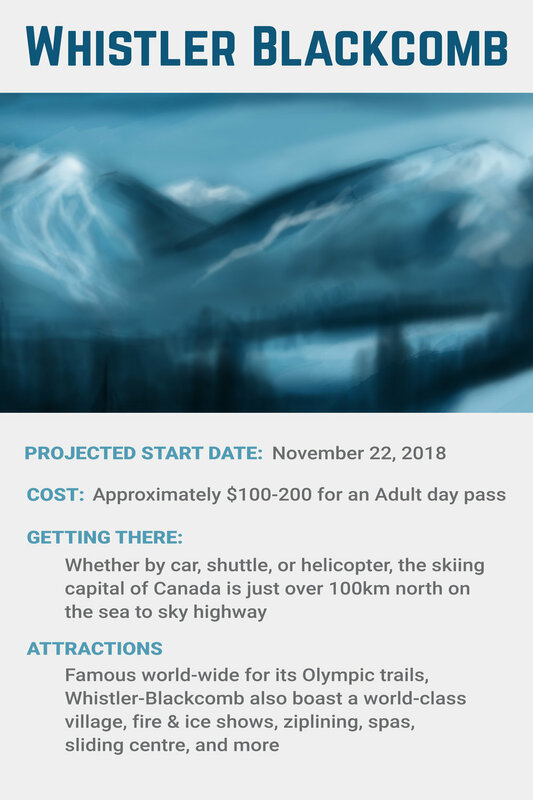 We gathered up all the best places to hit the hills, accessible from Vancouver and Port Coquitlam by Car, Shuttle, Public Transit, or if you’re really excited, Helicopter. 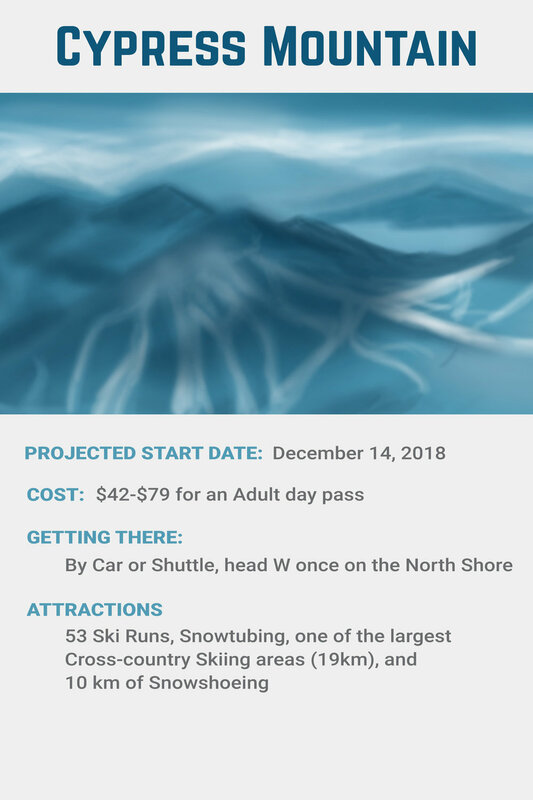 We list projected start dates (subject to change, check here for updates), approximate costs to spend a day (ranging from $35-$200), how to get there, and what makes that mountain special - as well as a map you can add to your Google Maps for reference. Scroll down for more info on how to structure a training program, and how to prepare to have the best season yet (free of injury and performing your best)! Pre-season training is an important component of having a happy, healthy, injury-free ski season throughout the winter. For a more individualized, comprehensive, guided training program, book an appointment with a Physiotherapist or Kinesiologist today. A comprehensive training program will start at least 6-8 weeks before activity, and will be tailored to your specific needs and goals, helping conditioning your whole body to the movements and intensity of the sport. Range of motion and joint position sense in the ankle, knee, and hip joints are a focus. Includes the core, glutes, quads, hamstrings, calves, and other muscle groups used in the sport. Focus is on both endurance and power for explosive movements. Balance, reaction time, and speed of motion are also important to fine tune. Have fun and enjoy another amazing season of racing down the beautiful mountains BC has to offer! The content is meant solely for informational purposes only. If you have any additional questions or concerns, please consult with your health care provider, or book an appointment with one of our physiotherapists.